The 2011 Maharashtra Table Tennis season begins with the State Ranking tournament at Deccan Gymkhana, Pune from 14th June to 19th June. The Pune Inter-club championship just concluded and will be followed by the Pune District Ranking tournament, again at Deccan Gymkhana from 4th June. The second State Ranking will be at Dombivali Gymkhana, Dombivali. Table Tennis - Did you know? 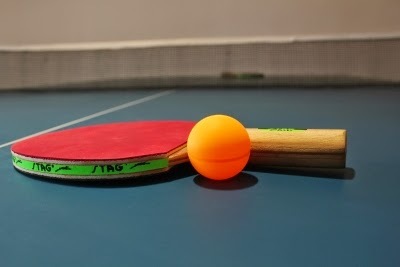 Table Tennis is the second highest sport in terms of participation. 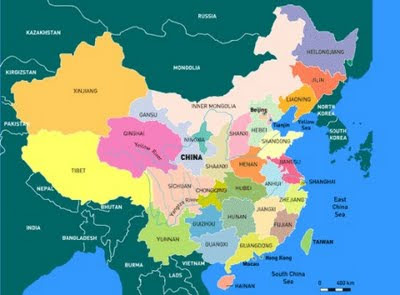 About 300 million (30 Crore) people play Table Tennis in China. It is the largest recreational sport in that country. Since 1959, Chinese men have dominated the World Championships and have won the title 60% of the time. In April 1972, the US table tennis team were invited to visit China. This was a landmark event in the history of the world and helped improve US and China relations. The event was dubbed "Ping Pong Diplomacy". The best performance by an Indian at a world championship was K Nagaraj, who reached the quarter finals at the 1956 edition. Nagaraj unfortunately lost 20-22 in the deciding game. Nagaraj is considered the all-time greatest player of India. 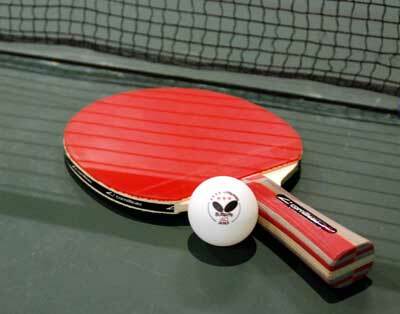 Gool Nasikwala won the triple crown in the inaugural Asian table tennis championship in Singapore in 1952. No one can dare dream about in India today. While in the UK, the Obamas received a 41-gun salute as they stood next to the Queen and the Duke of Edinburgh at Buckingham Palace. They then met Prince William and Princess Catherine. From there, a courtesy call to Downing street to meet the Prime minister Mr. Cameron and wife, Samantha. 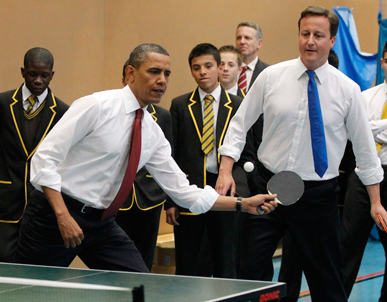 Obama and Cameron took on Jason Do and Jamiyu Mojaji at Table Tennis at the Globe Academy in Southwark. The 16 year olds duly beat the national leaders, 11-0 showing no mercy. We have rubbers that are available at good Discounts. 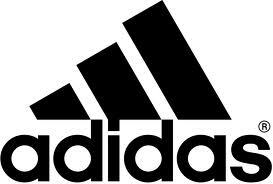 The sports giant, Adidas has entered into the Table Tennis field in a big way! They sponsor major tournaments now. You probably have noticed their slick tables on the World tournament circuit. Their rubbers are bound to give Tenergy a run for their money since they are high performance rubbers at nearly half the price! Adidas P3 is a rubber that allows a player to hit ultra-sharp topspins. The P3 has enlarged pores in the sponge and the pimples are arranged in such a way that the top spins land with high quality. The positive aspect is that although the rubber is built for speed, it can be used to play smartly even in defensive positions such as blocking and lobbing! Those who miss the gluing habit, need not despair. Adidas R6 makes up for it! The heavy sound that the rubber makes on contact with the ball is the first thing that you notice. The elastic and soft sponge generates friction and speed during high speed play. It is best for the energetic, fast players who want to play offensively. The Adidas P5 rubber gives you fruits of the hard labour during training and practice. Extremely suitable for the loop game and also the loop-to-loop rallies, the forward traction makes sure that the balls always land at the desired areas. The compact top sheet is designed to enable this to happen. The Adidas P5 rubber is especially suited for players who train intensely and with focus on technique and touch. 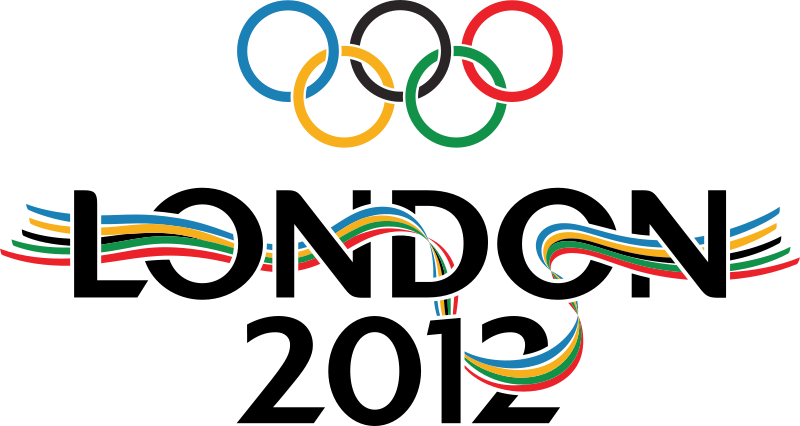 2012 London Olympic Games - Defending Champion not allowed to Compete? Ma Lin, the defending Olympic Champion (Beijing 2008) will not be eligible to even compete if the new rules are enforced. He does not figure in the list of players that have automatically qualified. This list is subject to the National Olympic body's approval, which means that the Chinese Olympic Body must approve. This also means that there will be a huge hue and cry within China regarding the exclusion of Ma Lin, who is as popular a figure in China as Sachin Tendulkar is in India. Zhang Jike, the newly crowned World Table Tennis Champion is in the provisional list of auto-qualifiers and so is Wang Hao, who will get a golden chance to add to his glorious collection of titles. 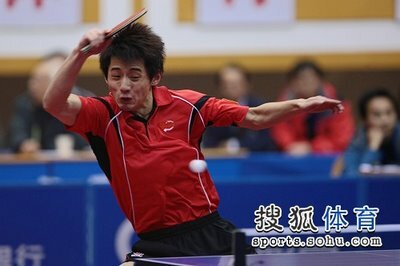 Zhang Jike beat Wang Hao 4-2 to win the World Table Tennis Championship 2011 title at Rotterdam. Wang Hao did not go down without a fight. He saved 6 match points. In a high-quality match that provided thrilling moments to the enthusiastic crowd, Zhang seized his chances at crucial moments to seal the deal. Zhang appeared to be more focused during the entire match. The final score read 12-10, 11-8, 6-11, 9-11, 11-5, 14-12. Wang was a bit uncharacteristic early on in the match and let the first game slip from his hands when he had a chance to clinch it. Wang Hao had dominated the proceedings during the tournament, except for the match against Ryu Seung Min and hence he was the clear favourite. But Zhang had other ideas. He made the most of the opportunity by winning the title on his very first opportunity. It is well known that Zhang is in and out of favour with China's chief coach, Liu Guoliang. This must be an especially sweet victory. The US team could not shine in the WTTC at Rotterdam. Zhang Lily and Ariel Hsing, US's best hopes lost in the first round of the main draw in the Women's singles competition. Earlier, they topped their qualifying groups and also won through the elimination rounds. None of the Men players made it to the main draw of the singles competition. China continues to dominate the singles competition at the World Table Tennis Championships 2011 at Rotterdam, The Netherlands. China had 13/16 quarterfinalists if you combine the Men and Women. In the women's section, it will be an all China final as Ding Ning demolished the only non-Chinese in the draw, Feng Tianwei (Singapore) 4-0. Ding thus made sure the nightmares of last year's humiliation at the hands of the Singapore team do not recur and nipped the trouble in the bud. Ding Ning will take on Li Xiaoxia in the finals. In the Men's draw, Timo Boll and Jun Mizutani are the only two non-Chinese left in the draw and they will face the daunting task of beating three super strong Chinese players if they harbour any dreams of bagging the prestigious title. 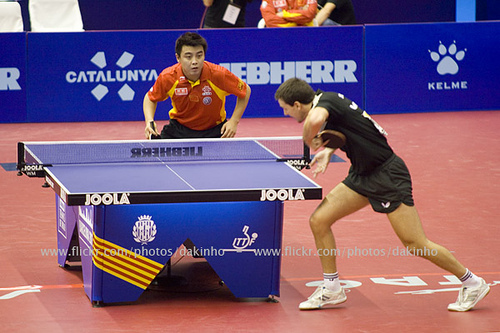 Wang Hao and Timo Boll in action in an earlier tournament. The highest ranked players registered wins to reach the last 16 stage of the 2011 World Table Tennis Championships at Rotterdam. Among them were Wang Hao and Timo Boll in the Men's Singles and Li Xiaoxia and Guo Yan in the Women's section. Later, Top seed Wang Hao moved to the Quarterfinals but not before surviving a scare from his nemesis, 2004 Olympic Champ, Ryu Seung Min. In doubles action the Indian teams made their exit from the Men's, Women's, and the Mixed doubles events in the first rounds. Commonwealth champions Sharath Kamal and Subhajit Saha could not weave their magic this time around and went out after a brief struggle against their Korean opponents. 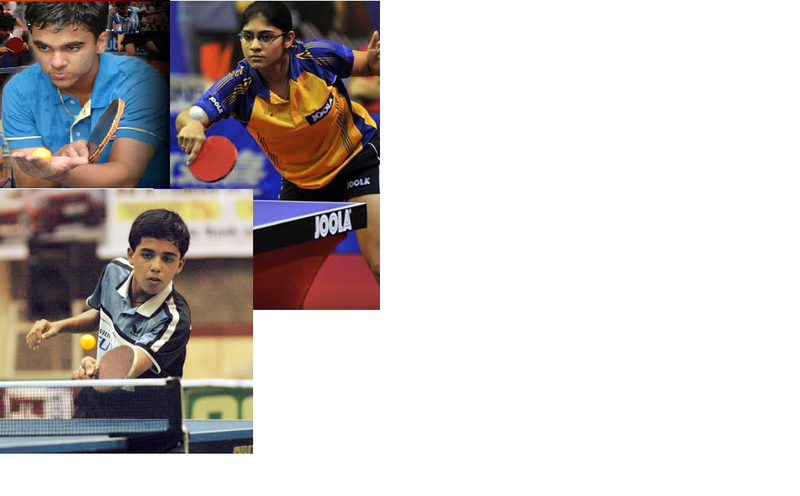 India's hope to shine in the Singles competition at the World Table Tennis Championships 2011 ended in the first round of the Men's and Women's singles events. Mouma Das and Poulomi Ghatak, lost to their Japanese opponents 2-4 and 0-4. Mouma did offer some resistance and actually led 2-1 before losing the last 3 games in a row. World Championships Table Tennis (WTTC) Live! Mouma Das and Poulomi Ghatak are the only players left in the Singles main draw. They both face tough Japanese opponents. Mouma is fighting and it is now 1 games all against Tanioka Ayuka. Sharath and Madhurika, the others in the main draw lost earlier in the day. Mouma, Madhurika, and Poulomi made it to the main draw of the World Table Tennis Championships at Rotterdam! All the Indian Men players in the fray (Abhisek, Soumyadeep, Subhajit, Amalraj) in the qualifiers topped their groups and progressed to the elimination round (before main draw), but they could not make it further. Amalraj and Subhajit lost one round before the main draw. Of course, needless to say, Sharath Kamal is already in the main draw. Sourav, Pathik (retired), and Neha did not make it this time. The others did. India's truly international Table Tennis player, Achanta Sharath Kamal will once again lead the squad at the World Championships at Rotterdam. The tournament formally starts from May 8th, 2011. The Indian team is in China to prepare for the championships. Women: Shamini Kumaresan, Madhurika Patkar, Poloumi Ghatak, Mouma Das and Mamata Prabhu. 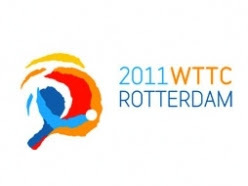 The World TT Championships (WTTC) start on 8th, but the accredition process has begun today (May 5th). The biggest event of the season with record participation will see the cream of the World Table Tennis scene in action at Rotterdam, The Netherlands. The favourites in almost all categories, China, applied finishing touches to their preparation at the Werner Schlager academy and are all set to dominate the opposition. The event is unlikely to be affected by the withdrawal of leading European stars like Michael Maze and Werner Schlager.